CS:GO is a lot more than just competitive play. 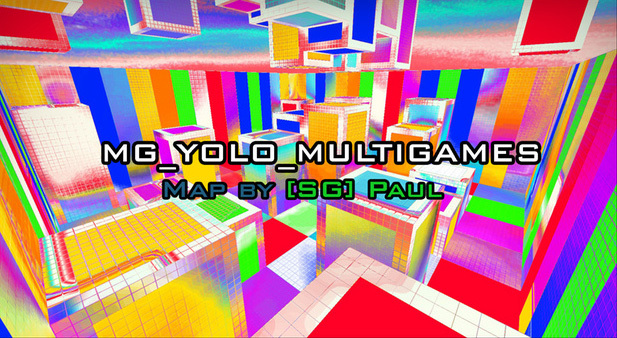 Rent your own CS:GO server and play dodgeball, yologames and zombies with your friends. Multigames are awesome. You really can't describe them as each minigame is different from the other. Who is actually the best? 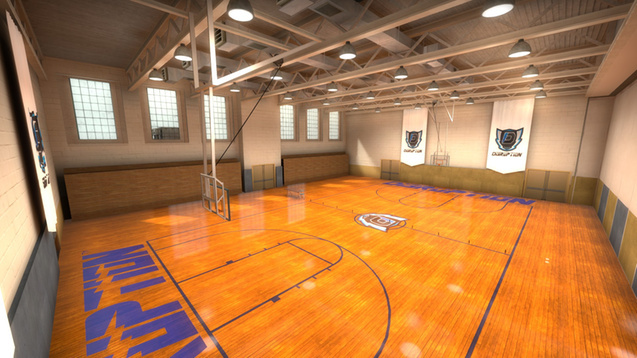 Challenge your friends on a classic 1v1 and find out who really is the best. Dodgeball is a fun game mode where all players have 1 hp and their only weapon is a decoy. Play competitive against your friends without worries about deranking. 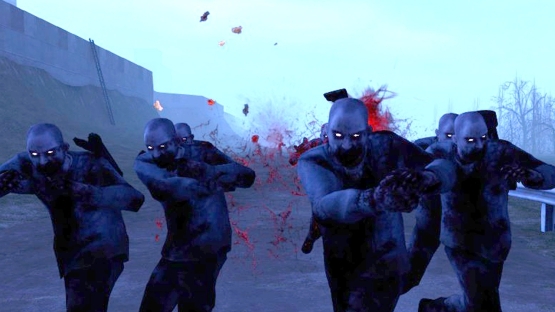 You don't need CoD or L4D to play zombies, you can play zombies directly in CS:GO! 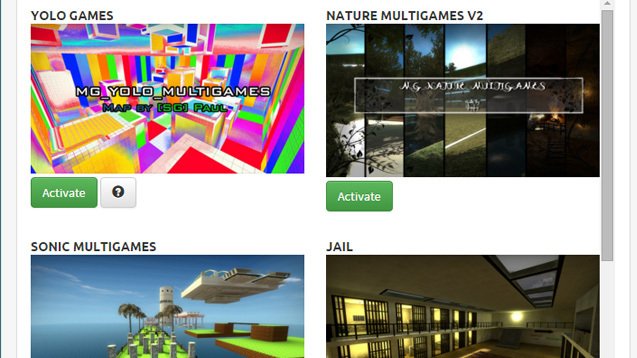 ..Surf, Adventure maps, Jail, Hide and Seek, Hunger games, ..., it exists a lot of game modes that you never have experienced before! 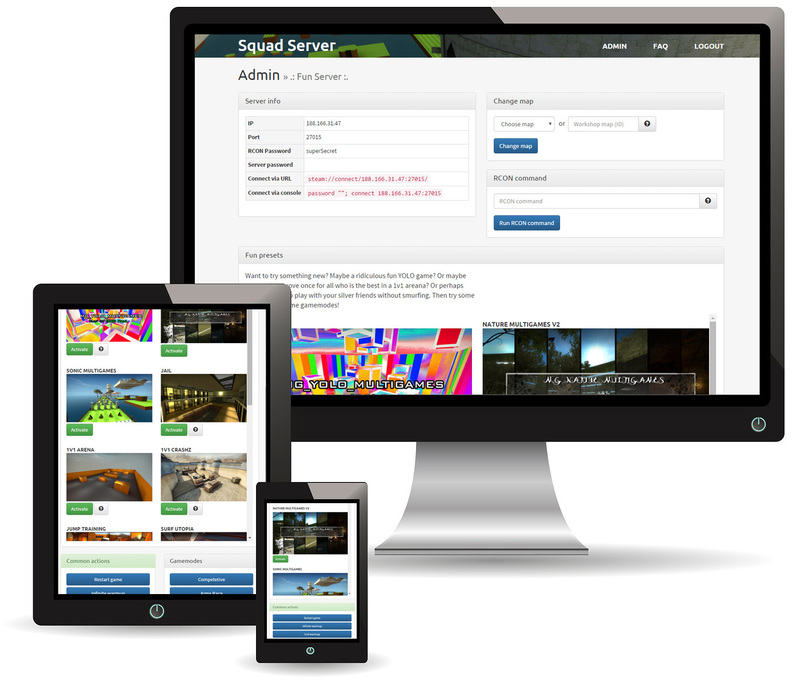 At Squad Server we believe that you want to play CS:GO and not configurate servers. That's why we created a highly specific CS:GO control panel. Made only for CS:GO and nothing else. 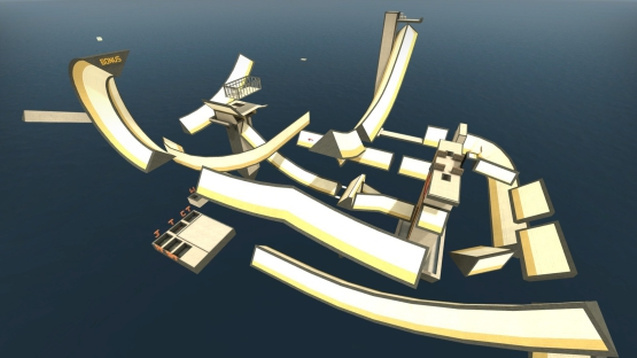 With one click you can change game mode to Robot warz, Football, Multigame, Deathmatch and so on. Want to disable recoil? One click. Want to end the warmup? One click. Kick all bots? One click. All common actions has their own quick button to make your life easier. With our mobile and tablet friendly control panel you'll never need to tab out from the game. Just place your phone or tablet at your desk and control your CS:GO server from there. We have servers across the globe, choose one that is near you. All our CS:GO servers have 32 slots and the tickrate can be set to 128, 102.4 or 64. You don’t want to pay for a full month. You just want to play a few hours this evening. When you start the server we start a stopwatch that counts how many hours your server has been powered on. You play and have fun with your friends on your server. It's late and everyone is going to bed. You stop the server and we stop the stopwatch. If you have used the server for 3 hours we charge you for 3 hours. 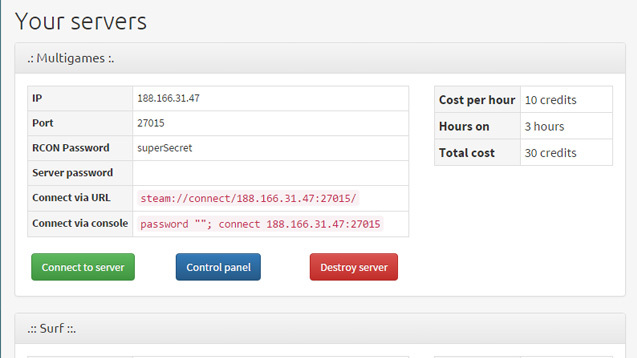 If you have used the server for 1 hour we charge you for 1 hour. 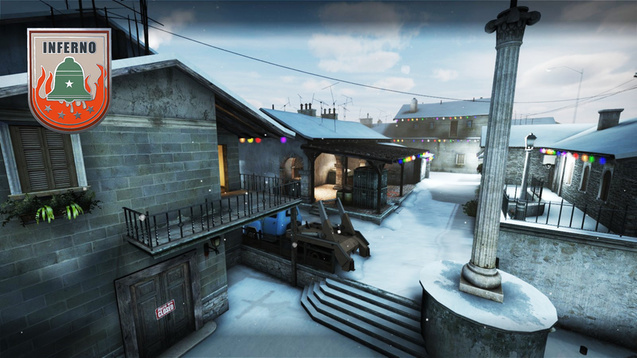 Try a new CS:GO experience today! You and your friends won't forget this evening. You will have a lot of fun at your own CS:GO server. 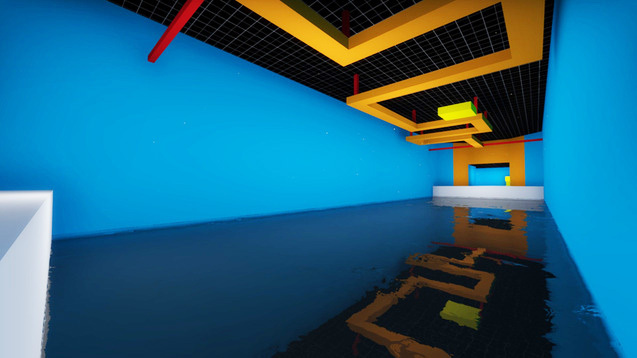 Try multigame, play a dodge ball tournament, take an adventure on a adventure map, challenge your friend on 1v1, try out surfing and a lot more! CS:GO is so much more than just the standard match making games. You don't need to waste hours on learning cryptic RCON commands. Everything you need is available as a quick action button. 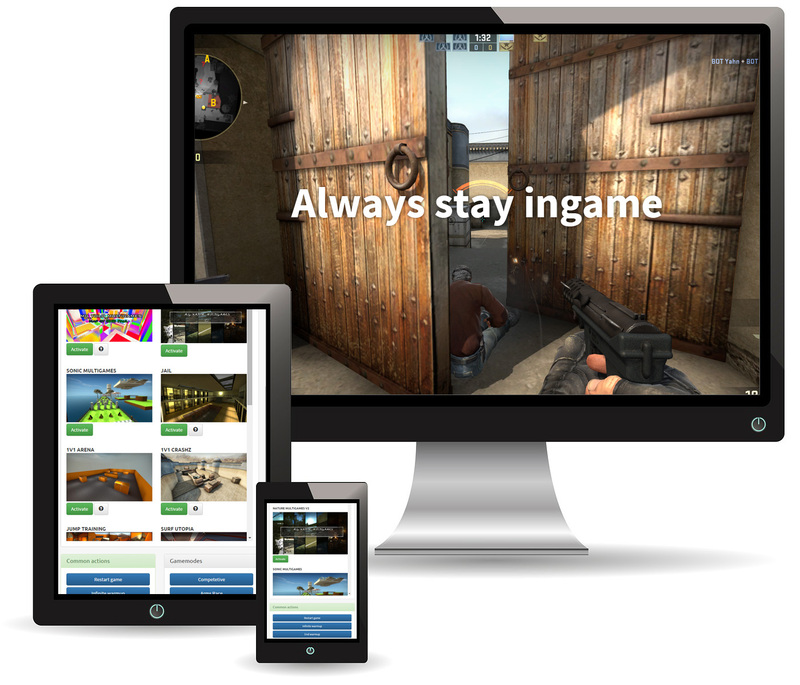 You will also always stay in game as you can control the CS:GO server from your phone or tablet. We have servers across the globe so you get a low ping. Just pay for the CS:GO server when you actually need it. 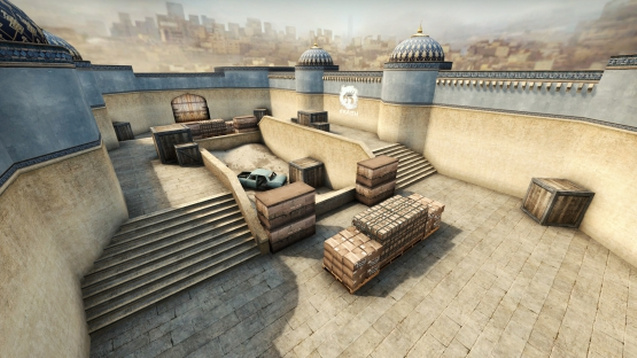 Rent a CS:GO server and play some hide and seek for a few hours. Rent a server and practice smokes with your clan.